I am satisfied with making it, but I want a one-push type thing. This review is about item#34883782. I use it to make my own carbonated water with Midbon. Although it is not necessary, it is not necessary to open and close the regulator one by one, It is easier to use a ball valve. It was easy to make and saved. Thank you in the future. 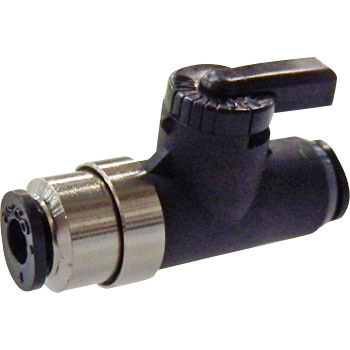 When opening the valve to open it, the handle rotating 90 degrees got blown away due to gas pressure, and it was a product that was not usable. O - ring which seems to be a part of the same place nearby was also flying and fell down, so it is not good because it is a product that is picked up but it is picked up at once. We are satisfied with a firm product without leakage. Repeat is under consideration. Even though it is such a small part, it is precisely made and just surprised. Until now, when not in use, it was opened and closed by the compressor, but thanks to this product it became like it was able to open and close at hand and work became easier! I am also solidly making!